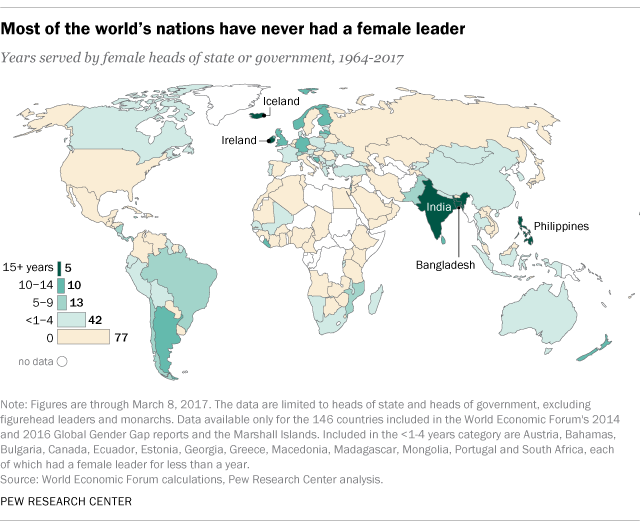 As nations around the world celebrate International Women’s Day, the number of countries that have had a female leader continues to expand. But the list is still relatively short, and even when women have made it to power, they’ve rarely led for a long time. 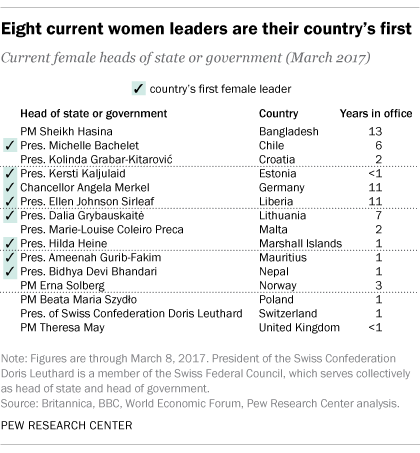 There are 15 female world leaders currently in office, eight of whom are their country’s first woman in power, according to our analysis of data from WEF and other sources. 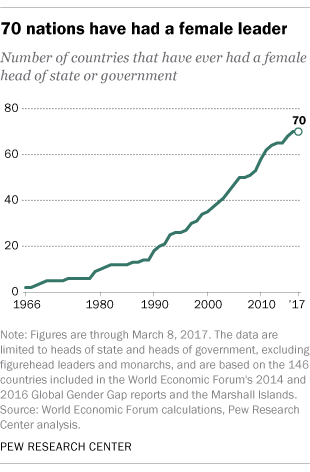 While the number of current female leaders – excluding monarchs and figurehead leaders – has more than doubled since 2000, these women still represent fewer than 10% of 193 UN member states. Note: Figures are current as of March 8, 2017. This is an update of a post originally published July 30, 2015.